Good afternoon everyone! I hope you are all having a wonderful day! Today I am going to give you guys a sneak peek into this year’s after-hours indie event while in Vegas. 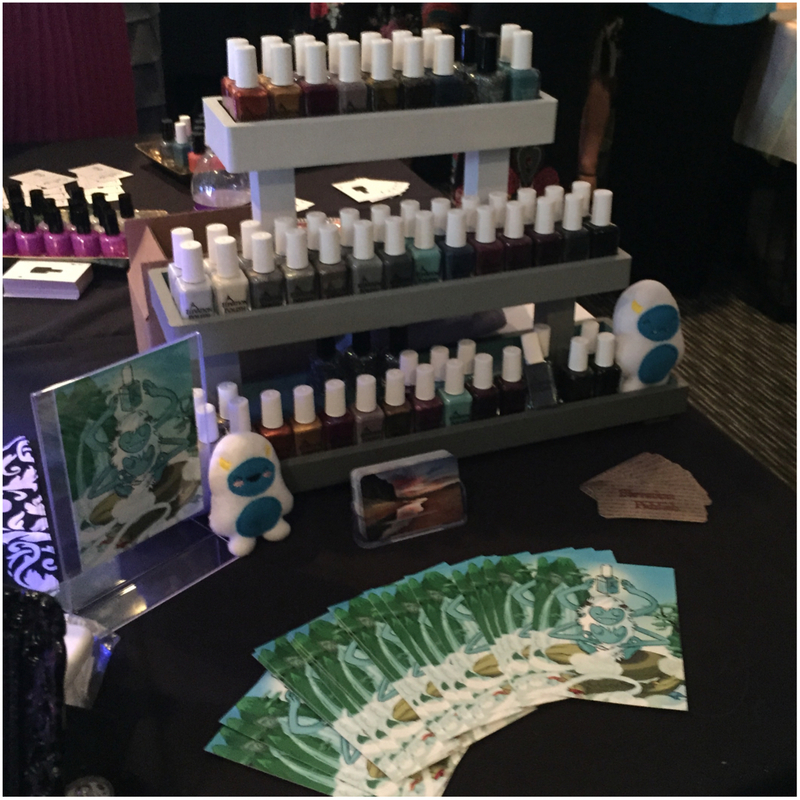 This year’s event was titled Cocktails & Colors and was hosted by the super awesome Missi (Different Dimensions), Jill (Glisten & Glow), Sara (Cupcake Polish), and Linda (Nail Vinyls) and was held at the Rumor Boutique Hotel. 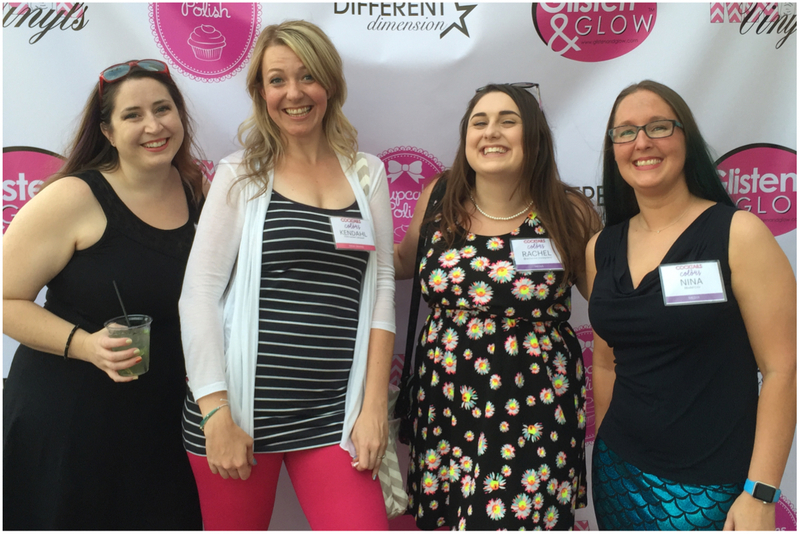 Cocktails & Colors was certainly a star studded event and I am beyond excited to say that everyone was simply amazing. 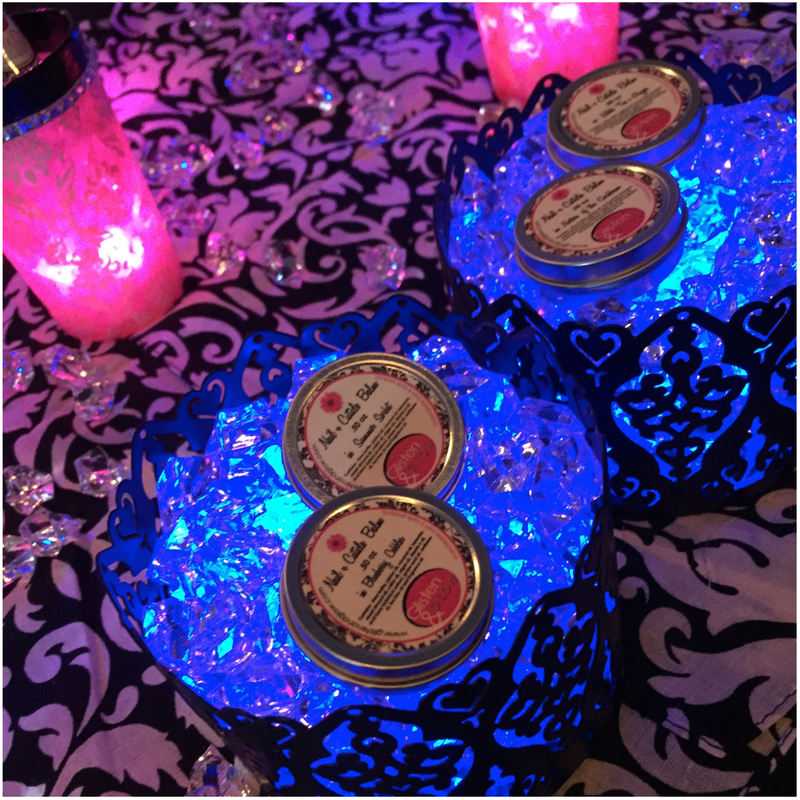 Both makers and press mixed and mingled all night and created many memories to hold on to forever. Today we are going to take a look at the fabulous display’s that were set up and give a big thanks to all the indie makers and their hard work. Entering into the event was an awesome red carpet area that was just perfect for those quick pics. 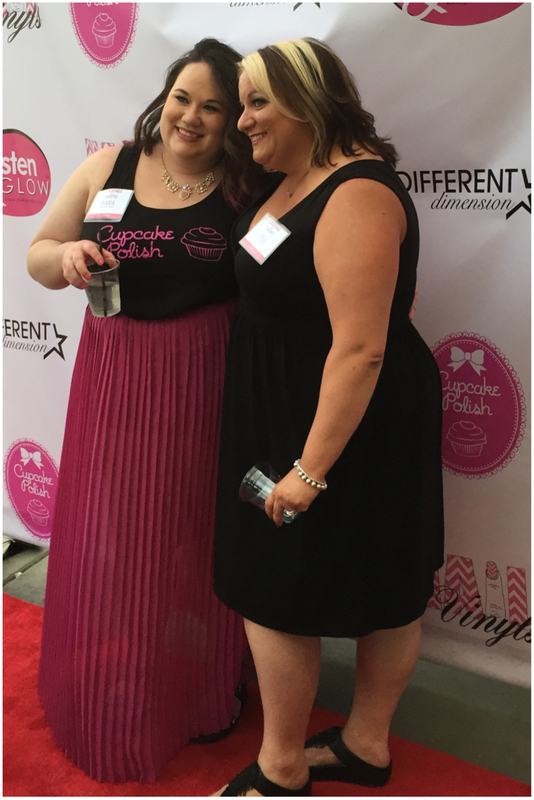 Sara was simply adorable in her Cupcake dress and I just has to snap a photo of her and Jill rocking the carpet! A few of us Reddit girls also took an opportunity to snap a few pics, sadly a few were gone before I got my camera ready. Jenne, Kendra, Rachel, and Me! 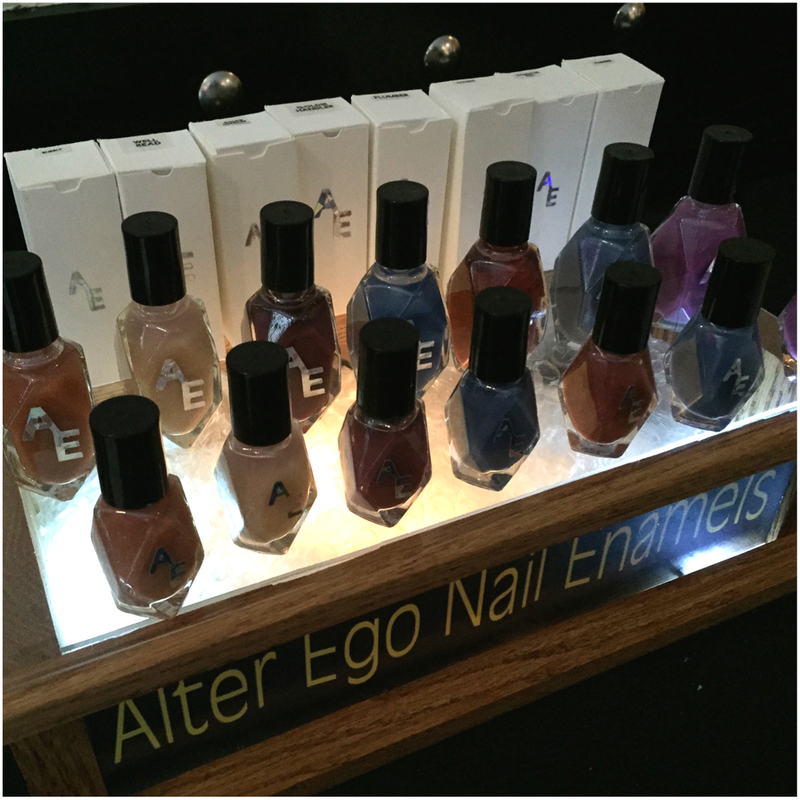 Entering into the display room we were quickly greeted by the awesome Cynthia from Alter Ego and her awesome new lineup. 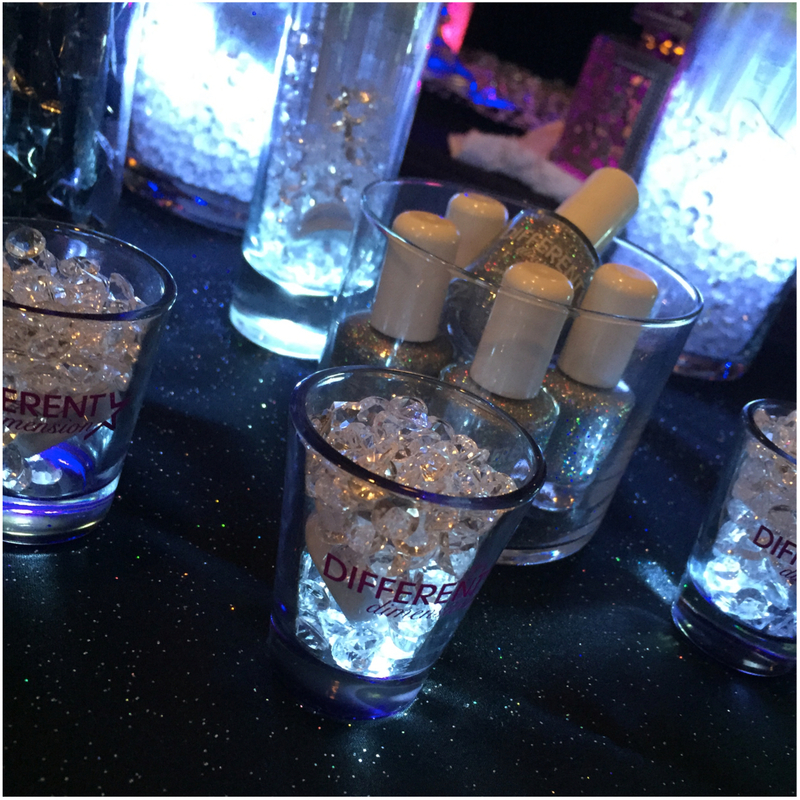 Check out her new bottles, they are just fantastic! 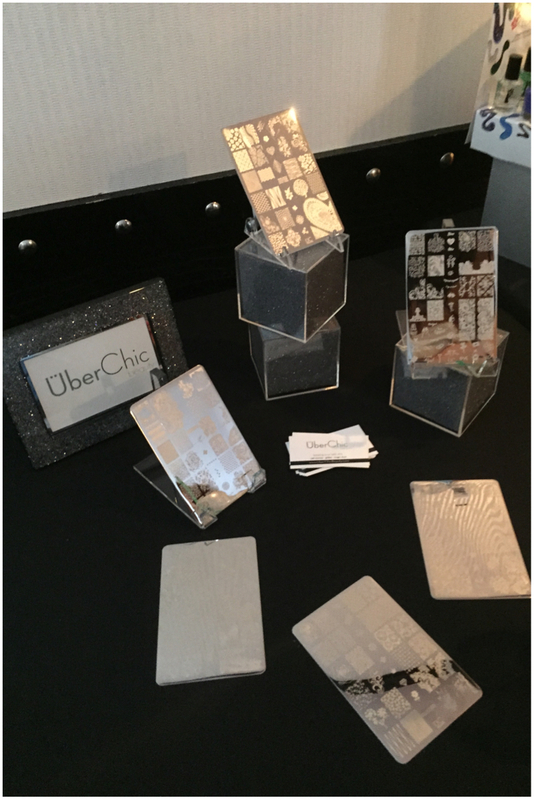 Next stop was to check out some amazing plates from UberChic. These guys have a great collection of large image stamping plates and once my budget returns to normal after Vegas, I will be grabbing a few. Not only do they have stamping plates, but they have other great stamping related items. 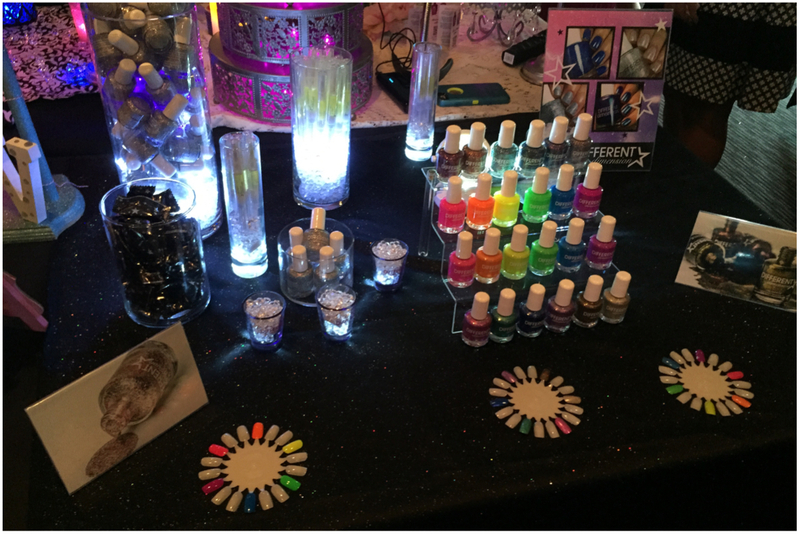 Next up is the adorable set up from KBShimmer! 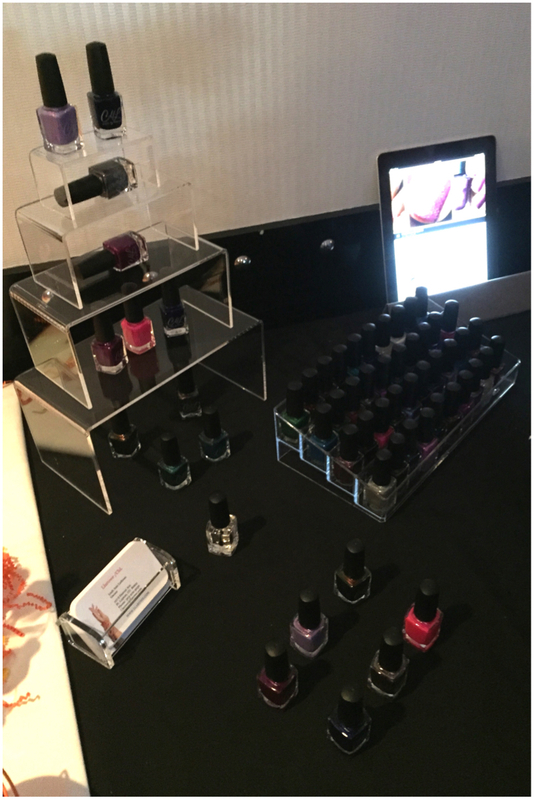 There was tons of amazing products, even a few I can’t share just yet, and as always Christy so sweet. 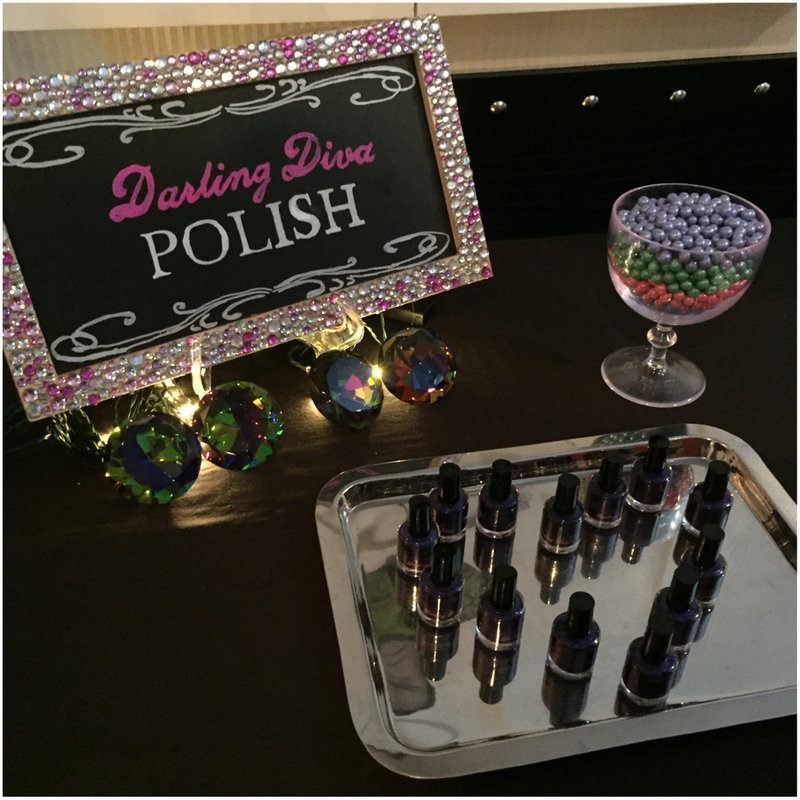 The multi chrome nail tools are even more amazing in person! 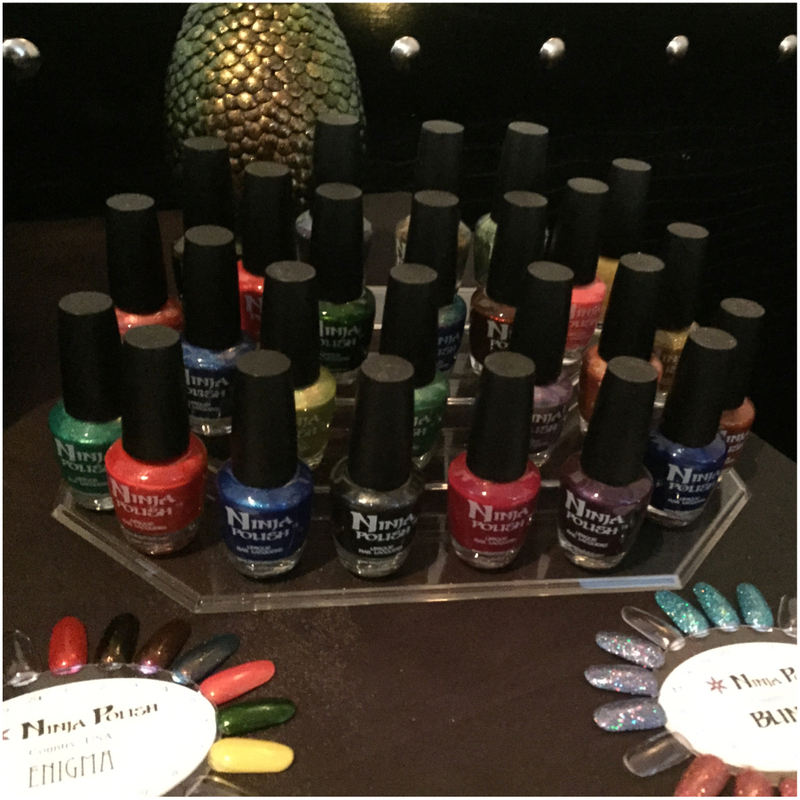 Now for the awesome Ninja Polish! 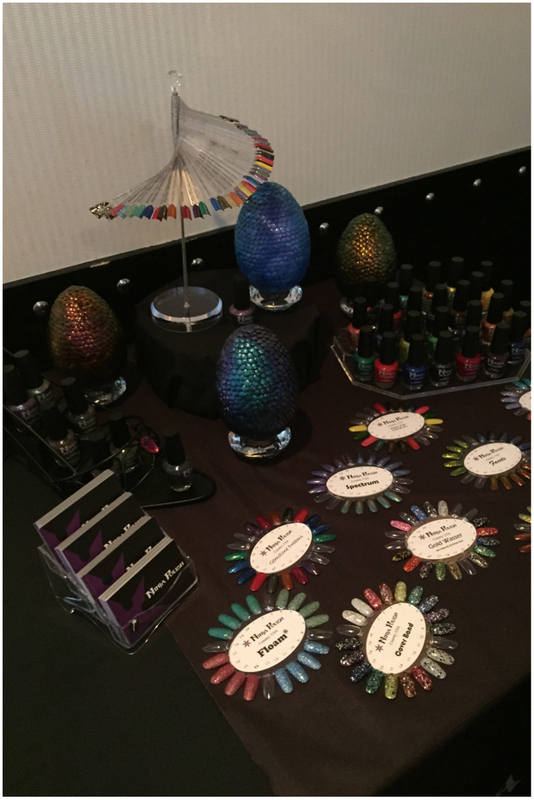 Not only did they have a stunning lineup of lacquers, they had dragon eggs too!!!!! OMG!!!!! Now for the wonderful Darling Diva. I have been a long time fan and it was so great to finally meet the maker! I so wanted to snake those giant gems and the colored sixlets were so tasty! Now for a stop at the Emerald & Ash display. It was so adorable and the stand was awesome. 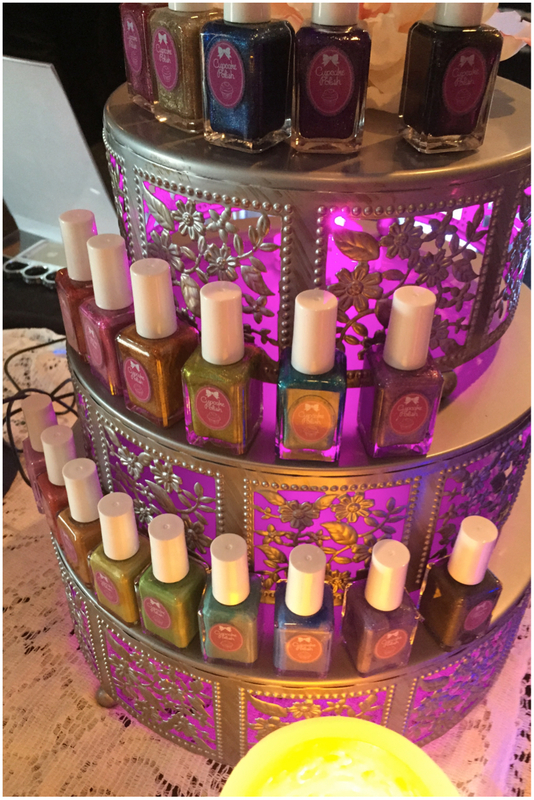 Along with their lacquer they had some super cute mini cuticle oils that I wanted to grab a handful of but contained myself. 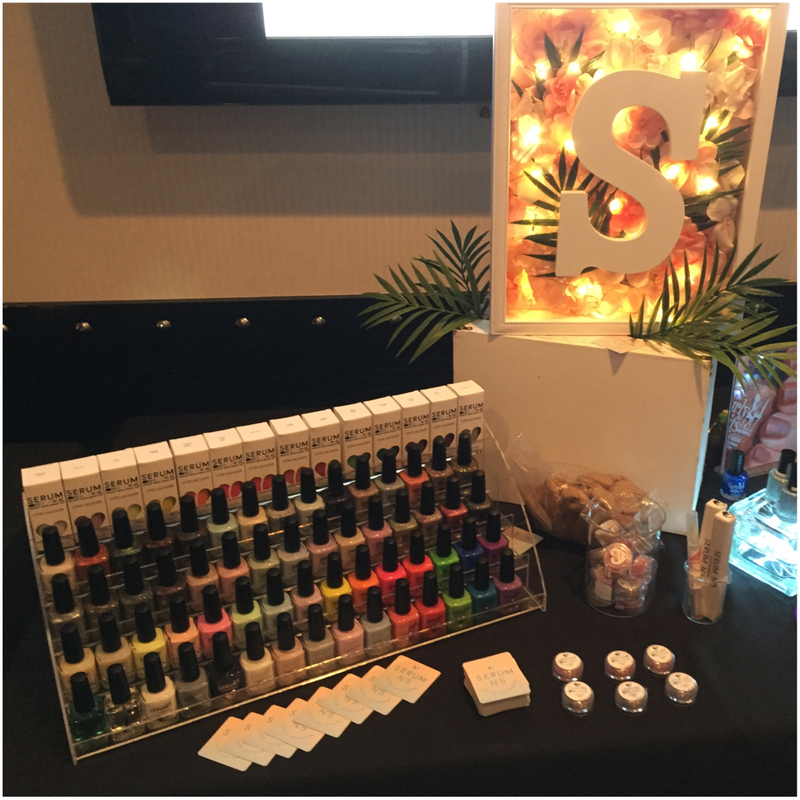 If you haven’t check out their cuticle oil line up, you are really missing out and need to go look right now. Now for Serum No. 5. 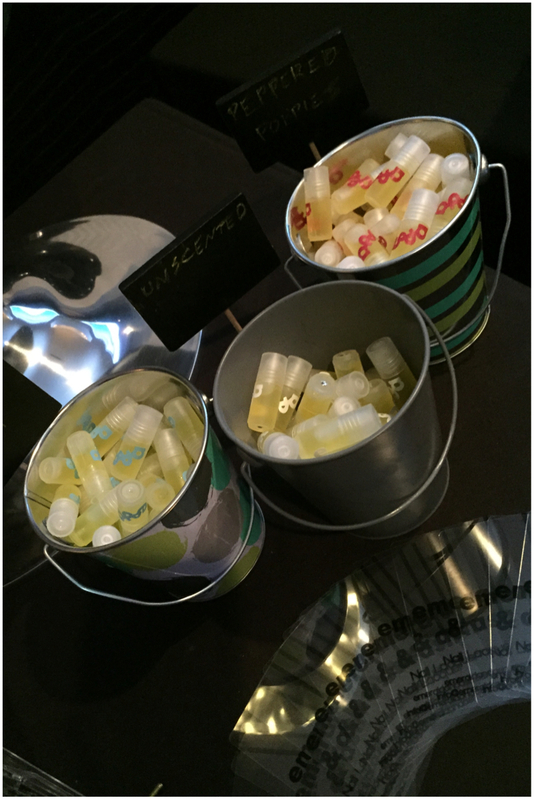 I am sure you guys already know and love Serum No. 5, but if you have been living under a rock…. 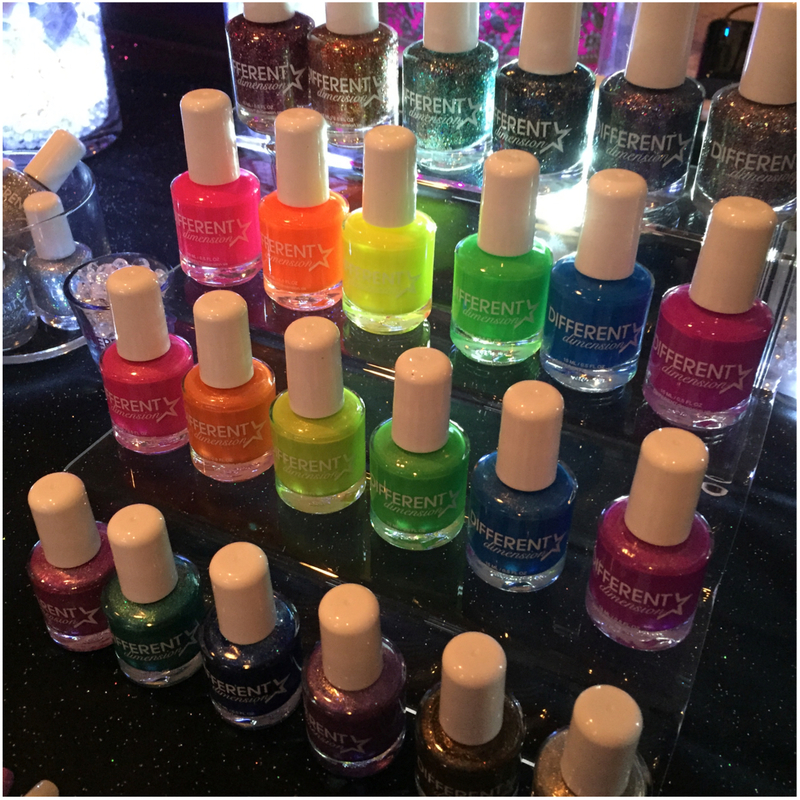 these guys have some stunning lacquers! I got to see sooooo many of my lemmings in person and it just has me wanting them even more! 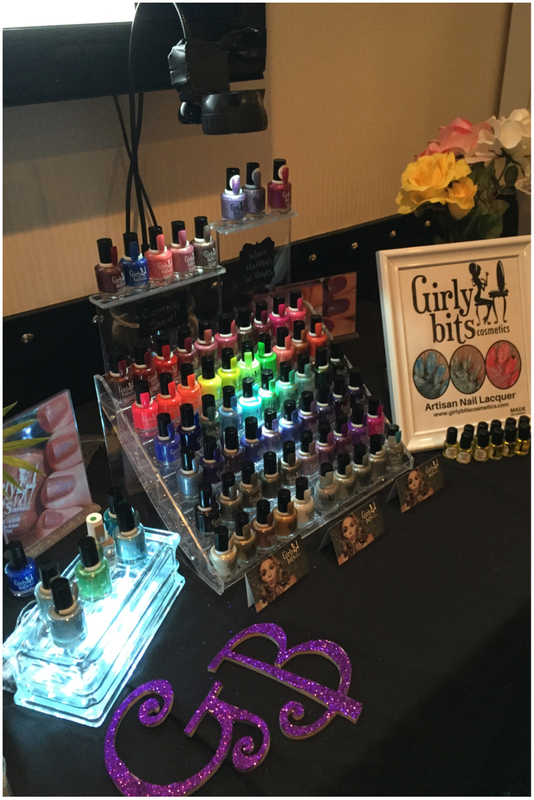 Girly Bits was in attendance this year and once again, I was drooling! Pam is simply amazing and everything she offers is just sheer perfection. Next was another display that I fell in love with. 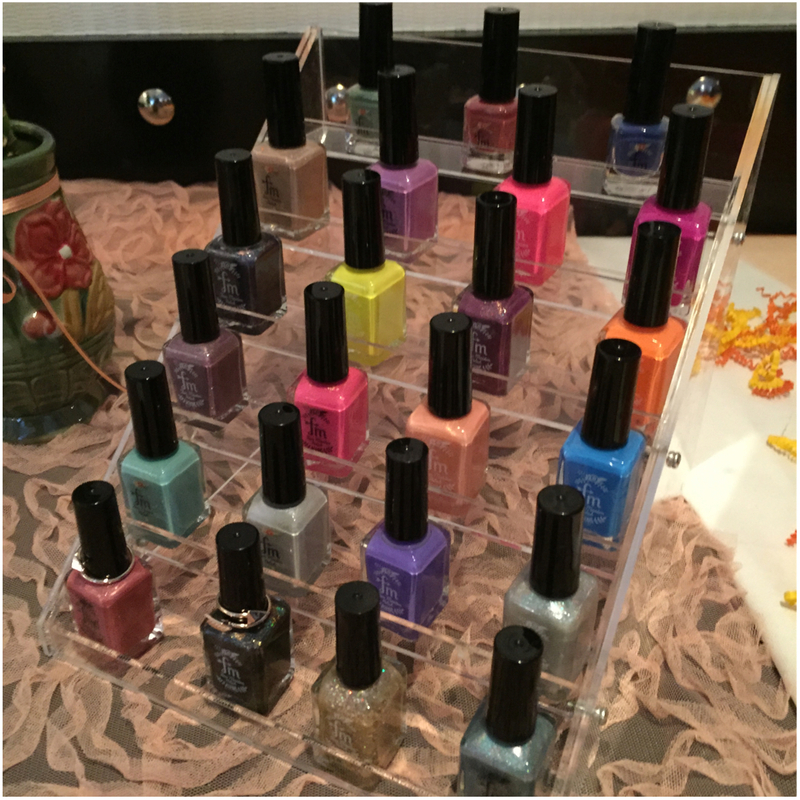 Painted Polish had tons of glitter beauties on display, including some nail stripers that I can’t wait to try out. 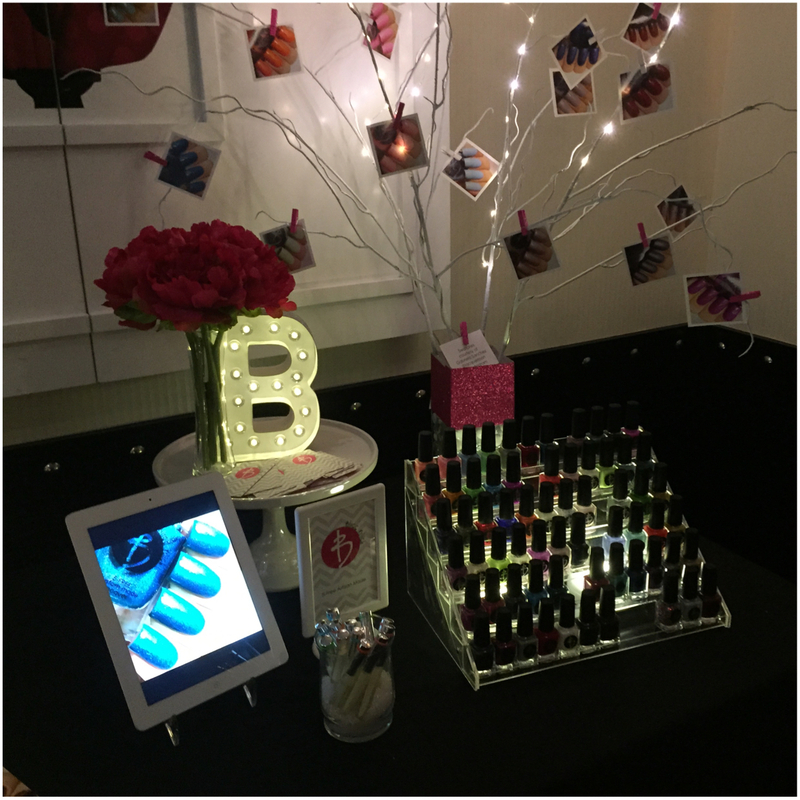 Next up we have Bliss Polish and I just loved her display tree! 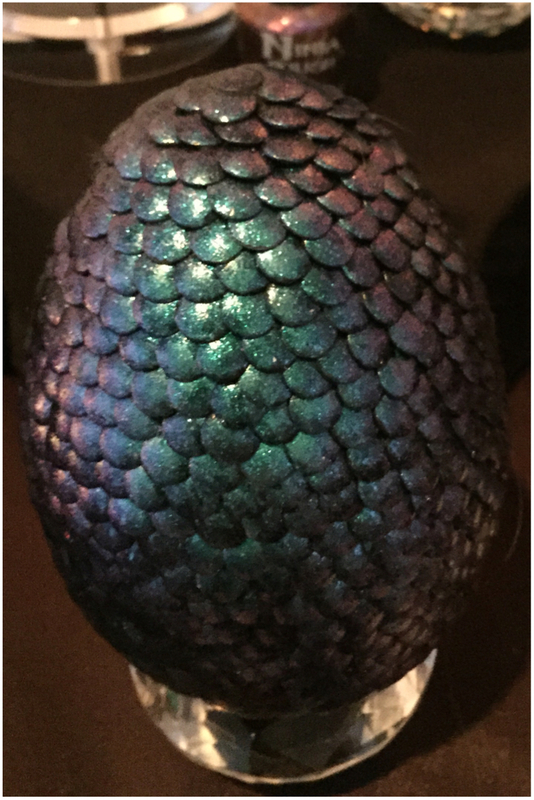 I tried to get better pics of her lacquer, but the room and my camera weren’t getting along. 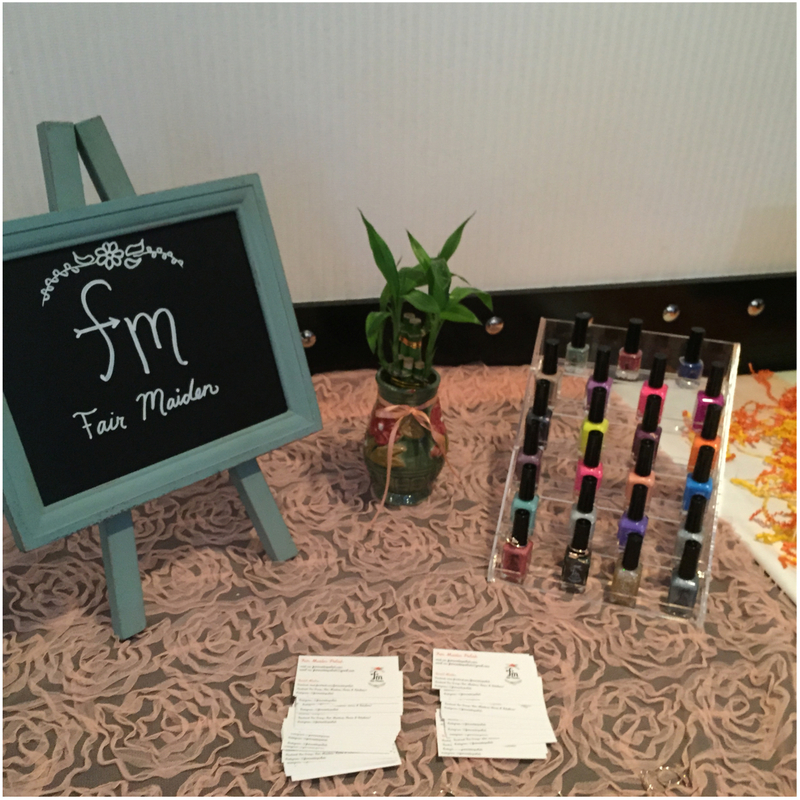 Now for some lovely lacquers from Fair Maiden. Now this is a brand I haven’t seen a lot of and I must say, I have been missing out. Stunning lacquer and a great maker mean more business from me. 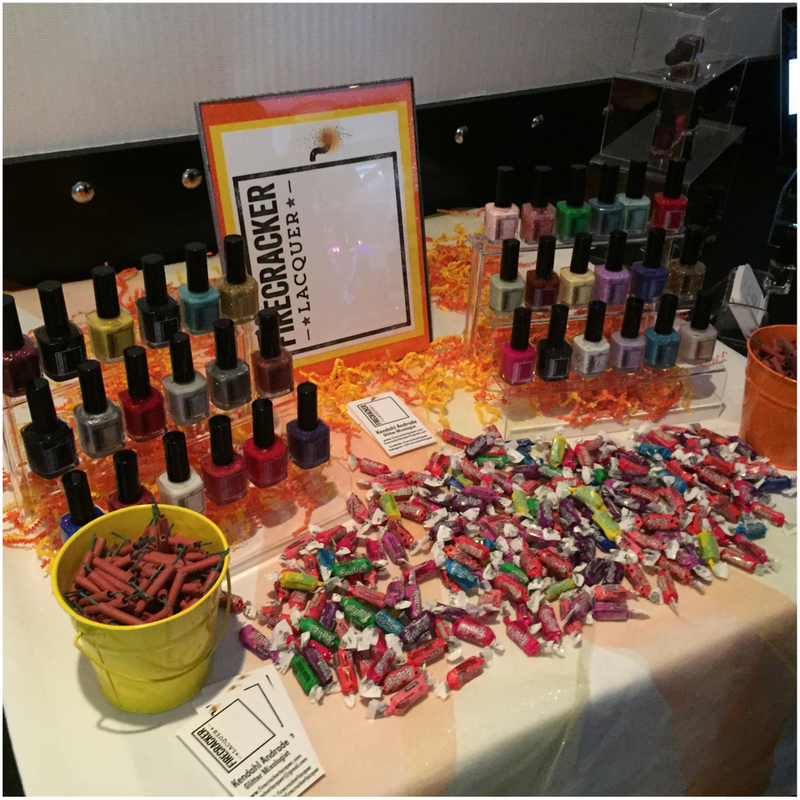 Next up we have Firecracker Lacquer. 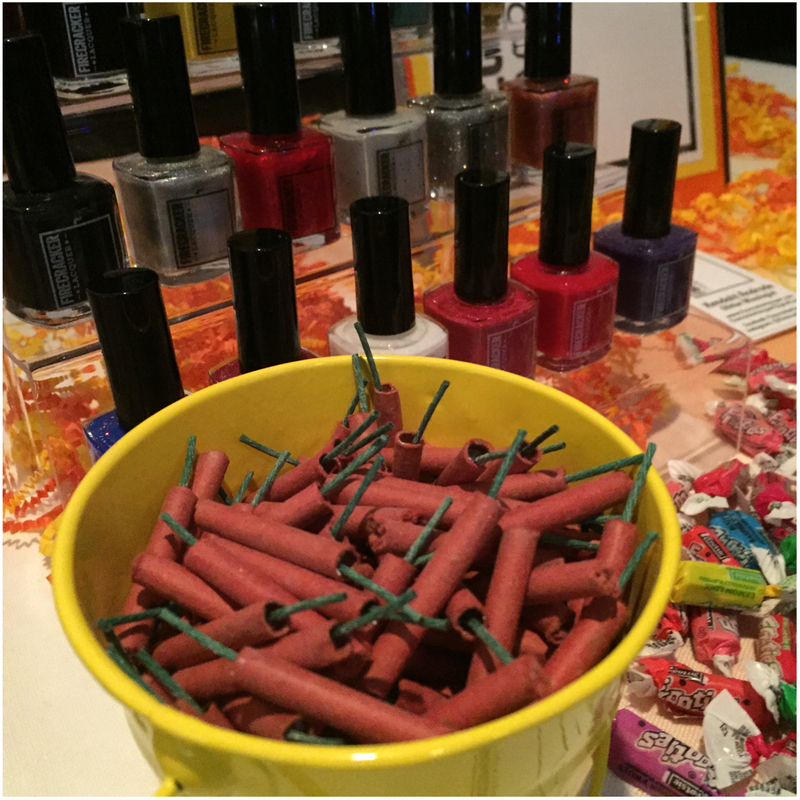 Their display was simply adorable but I have to wonder, what happened after the event and all those firecrackers. I dream of something glorious. 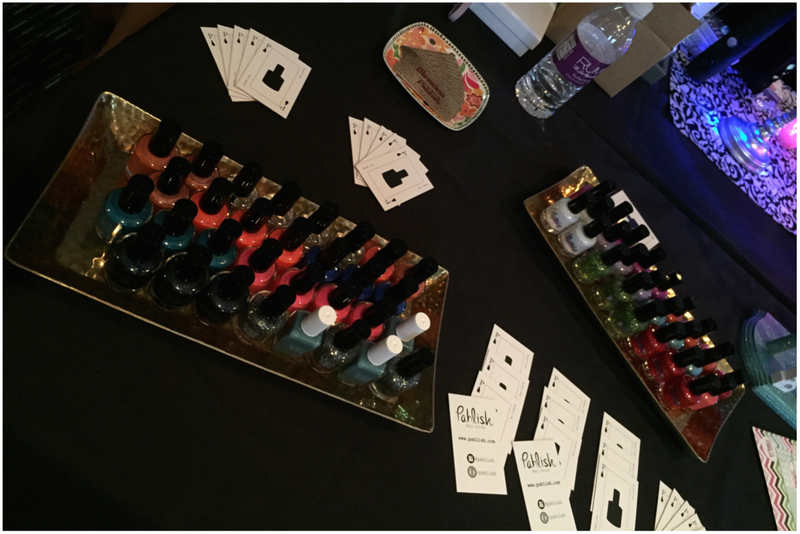 Next up we have a cute display from Pahlish. 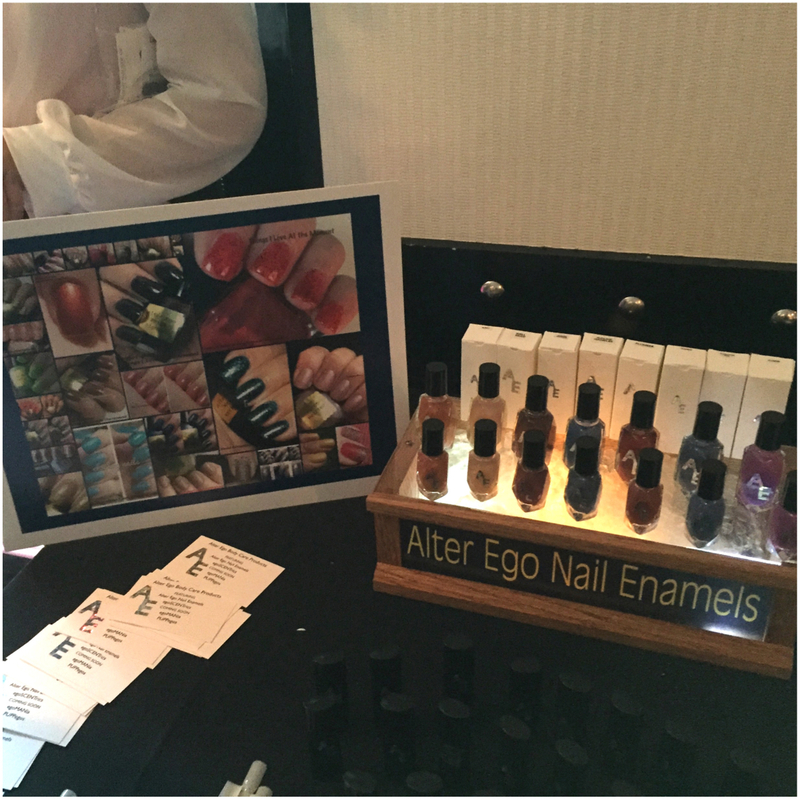 Once again we have awesome lacquer and an awesome maker that everyone needs to check out! Seeing a few of these beauties in person made my need list grow a little longer. 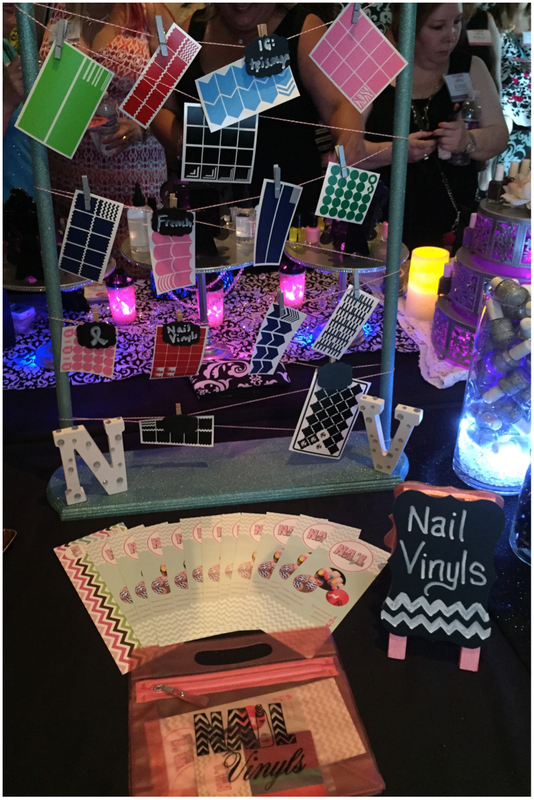 Nail Vinyls certainly had the most creative display for her products. Linda was one of the gracious hostesses and I greatly appreciate all of their hard work in making this event happen. Okay, now for one of the displays that I really had to contain myself on….. I NEED EVERYTHING! Missi from Different Dimensions was amazing as always and it was great pleasure seeing her again. Another huge thanks for putting together this great event and allowing my husband and I to attend. 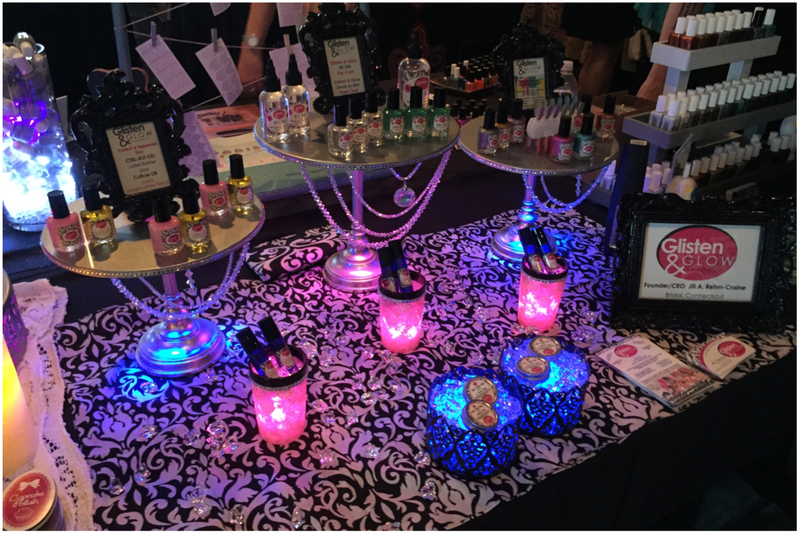 Next we turn the corner and are greeted with the cute display from Cupcake Polish. 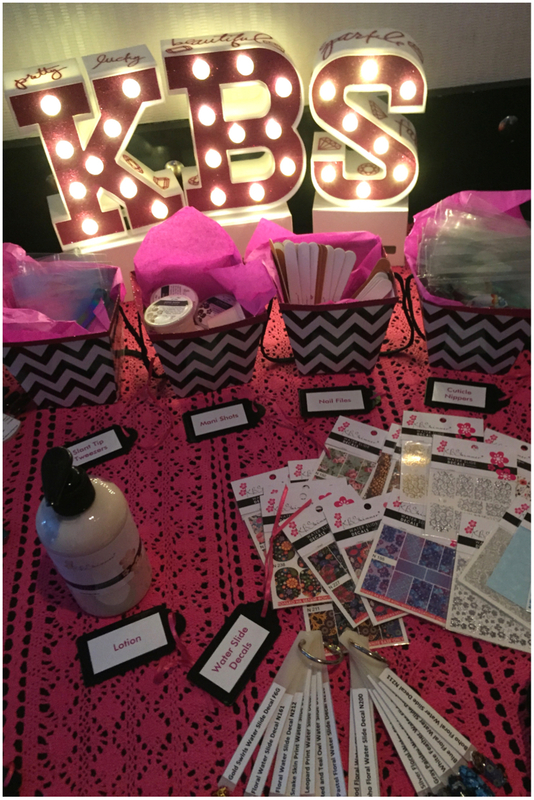 Her display was so fun and vibrant, just like the brand and the maker. Again, I had to hold myself back! Much love to Sara for her hard work and in putting together this awesome event! 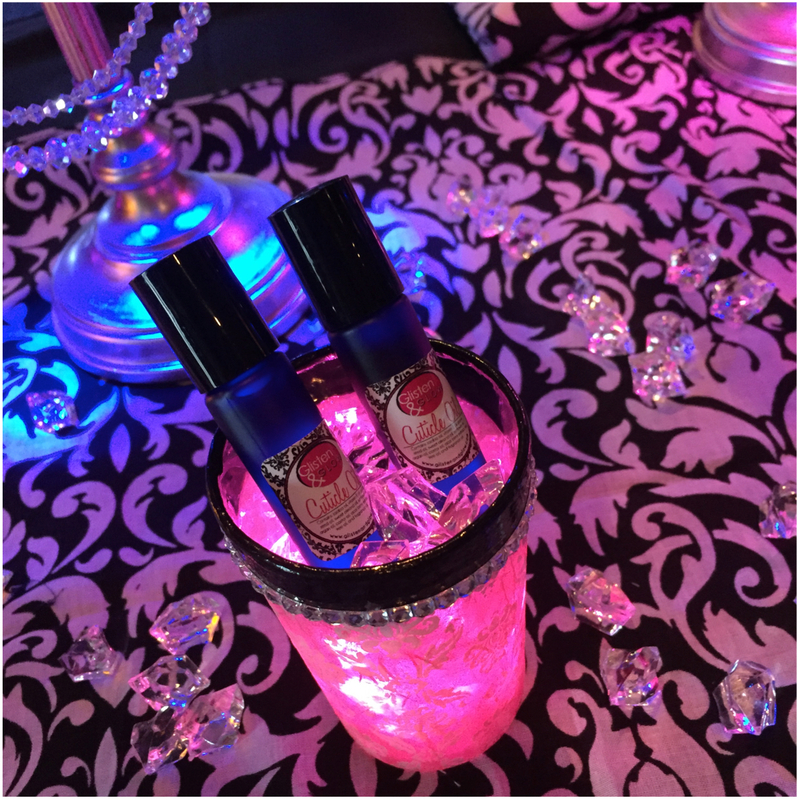 Next up we have another great hostess, Glisten & Glow. Now their display had me geeking out the most. All the awesome lights had my giddy! Next up we have Elevation Polish. I WANT THOSE YETIS!!!!! But I was good and they stayed put, but I did get a super cute picture that certainly needs to go on my wall! Lulu was as always, simply wonderful! 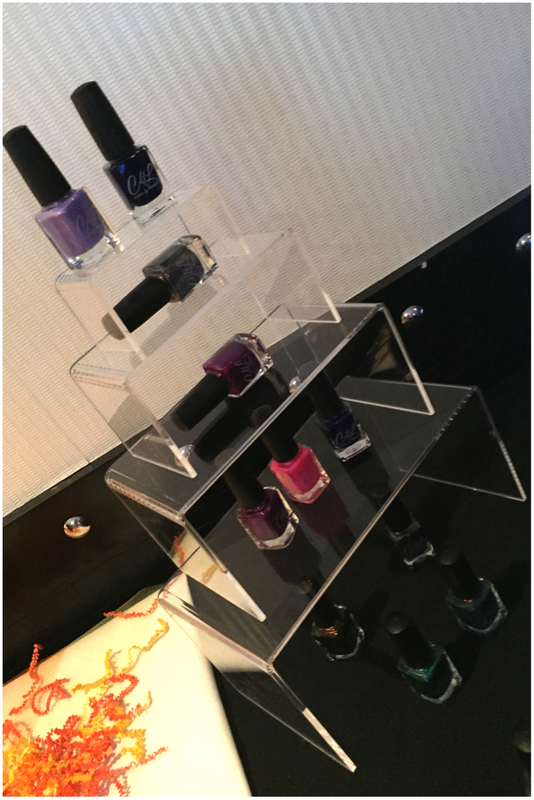 Lastly we have the Colors by Llarowe display. Leah Ann was in attendance and gracious as always to share her passion with others. I can’t wait to share her Vegas exclusive with you guys! So there you go, Cocktails and Colors! Amazing, right?! How did I manage to have self control around so many amazing products?! 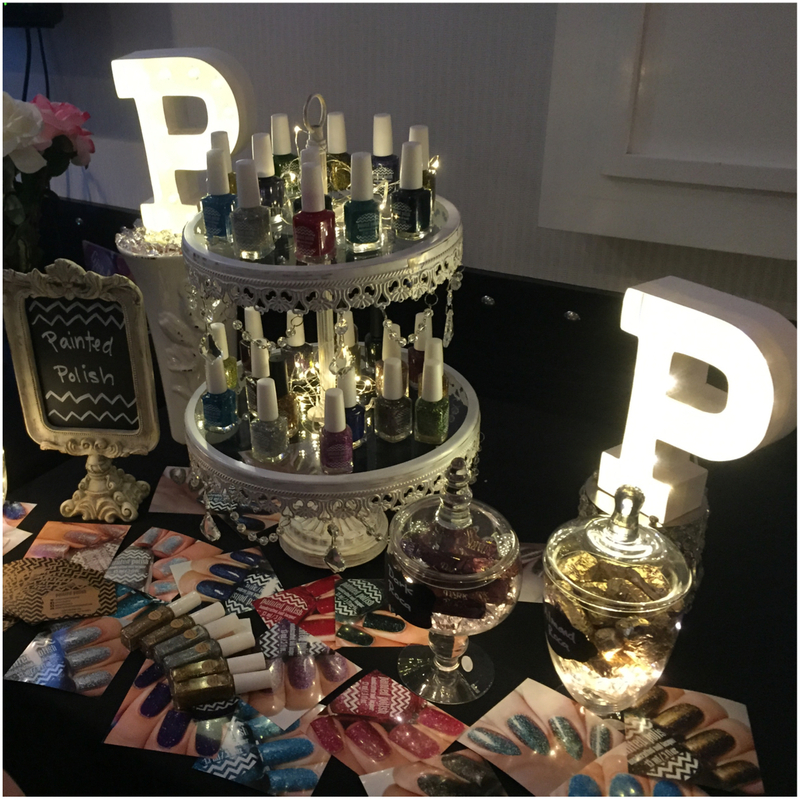 I again want to give a huge thanks to Different Dimensions, Glisten & Glow, Cupcake Polish, and Nail Vinyls for hosting such an awesome event. It was a great honor to be apart of this fantastic night. 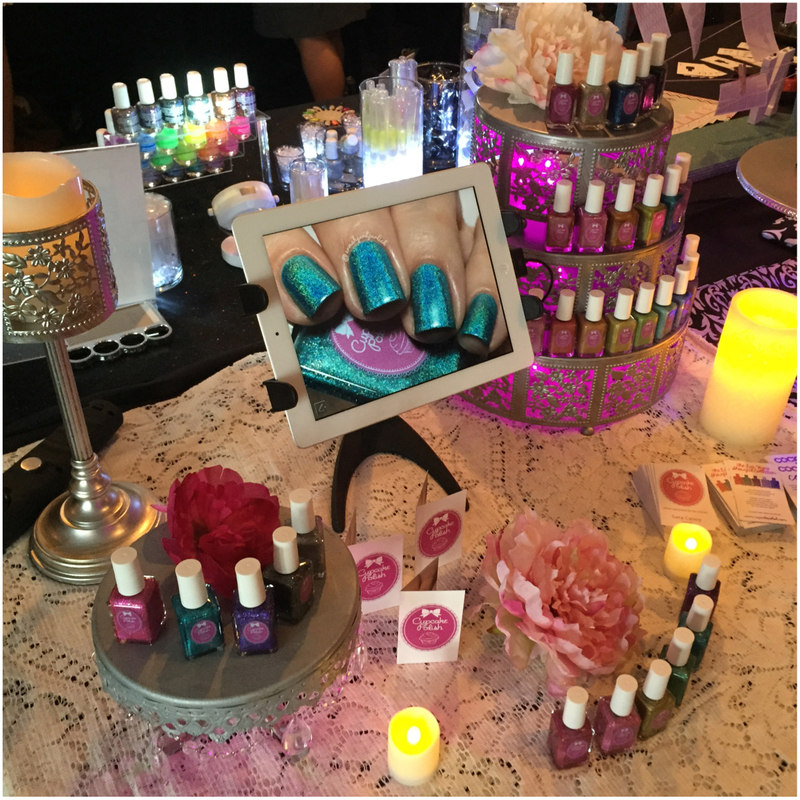 Now I do want to note that though not displaying, Courtney from 6Hart Polish, and Jennifer from Bohemian Polish were also in attendance. They were both fantastic and I can’t wait to share more from them. This look like it was amazing! Such gorgeous displays and lovely ladies!! 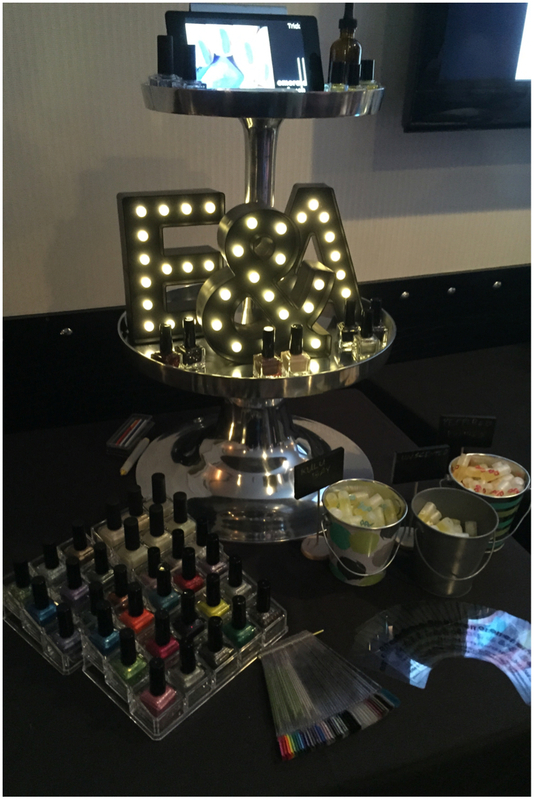 It was an amazing set up! I still can’t believe I had the chance to attend. So much awesomeness! Oh man what a dream being in that room would’ve been!! Looks great :).